Looking for an Amazon Tap? 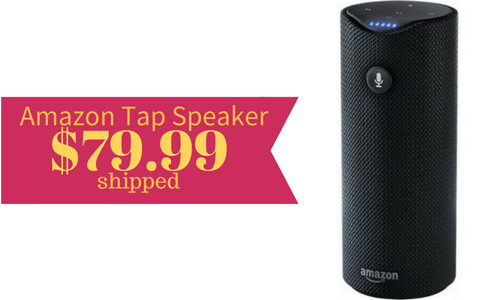 Today only, BestBuy.com and Staples.com are both offer this Amazon Tap Bluetooth Speaker for $79.99 shipped (reg. $129.99)! This speaker is also Alexa-Enabled. This would make a great Christmas gift for any tech lover.